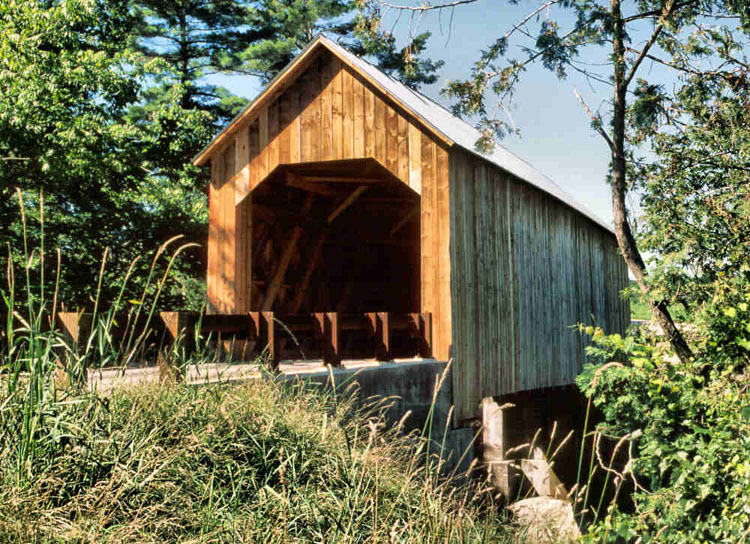 The Halpin Bridge is set forty-one feet above the Muddy Branch of the New Haven River, higher than any covered bridge in Vermont. The original abutments were marble, laid up dry. The use of marble as a foundation stone indicates that there is a quarry nearby. The town maintained span leads only to a farmyard. Our thanks to the Town of Middlebury for allowing the posting of the Vermont Covered Bridge Society Welcome patch. For more information about the Middlebury area visit their website at www.townofmiddlebury.org.